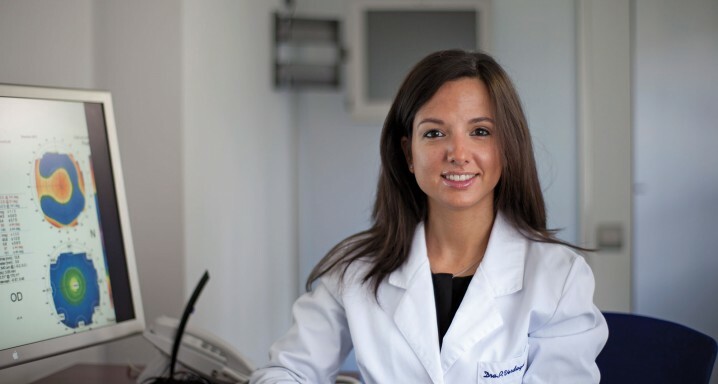 Dr Paula Verdaguer, the Institut de la Màcula’s expert in cornea, refractive surgery and cataract and the Head of the Specialised Dry Eye Unit, has been asked by the Diario de Tarragona newspaper how we should look after our eyes during the summer. These are some of her main recommendations. Always use sunglasses. These should carry a consumer-protection label. This is the only way to ensure that they guard against ultra-violet radiation. Get young children used to wearing eye protection. It is important to start looking after your eyesight at an early age as damage caused by sun exposure accumulates over time. 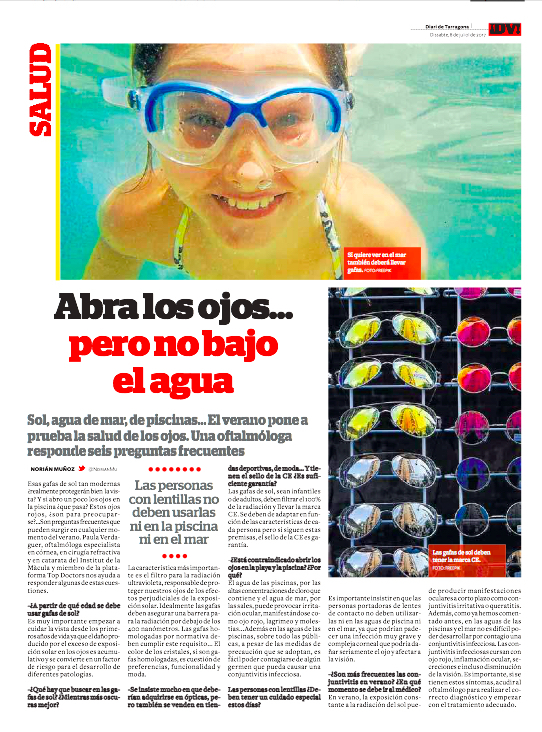 Protect your eyes in the sea and in swimming pools. Seawater can produce irritation due to its salt concentration while chlorine is the cause in pools. If you use contact lenses, leave them at home. They should not be used in the pool or the sea as they could cause serious infection. If you notice signs of conjunctivitis such as dry eye, eye inflammation, secretions or decreased vision, see your doctor. If you spot any of these symptoms, get a correct diagnosis from an ophthalmologist.